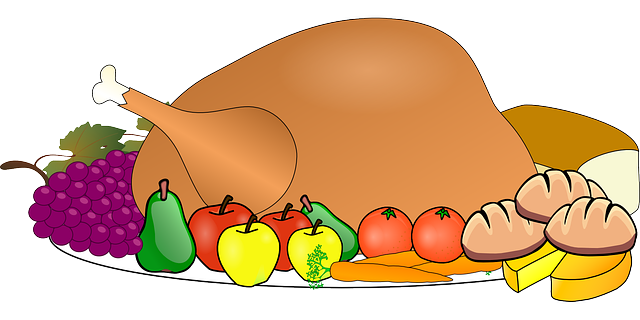 DeLena Ciamacco: The Real Estate Expert: Foods of OHIO | Will any of these be on your Thanksgiving dinner table? Foods of OHIO | Will any of these be on your Thanksgiving dinner table? Did you know that some of the foods that will be at your Thanksgiving Dinner may have originated right here in the great state of OHIO? Take a moment to read up on the history and background of some of the foods that we have been enjoying for years! TOMATOES– Reynoldsburg, Ohio is known as “The Birthplace of the Tomato”. Reynoldsburg claimed the first commercial variety of tomato in the 19th century, and ever since 1965, the city of Reynoldsburg has held the Tomato Festival which takes place in August. (FUN FACT: The official state beverage for Ohio is tomato juice). SHEARER’S, BALLREICH’S, CONN’S, JONES’, MIKESELL’S, GRIPPO’S – If you’re looking for a salty snack to have around, these chips are the right choice! Shearer’s (Cleveland & Akron), Ballreich’s (Toledo), Conn’s (Central Ohio), Jones’ (North Central Ohio), Mikesell’s (Dayton) and Grippo’s (Cincinnati) are perfect for the Ohio folks that are partial to the chips they grew up on! CINCINNATI-STYLE CHILI – From Greece, Nicholas Lambrinides, opened his first restaurant “Skyline Chili” overlooking the skyline of Cincinnati, Ohio. There, he still uses Greek recipes that were passed through his family... they’re a secret blend of spices and only the highest quality ingredients. Ohio is so glad that a young man from a village in Greece had a big American dream! BUCKEYES – More of a Christmas treat, however, these delicious little balls of peanut butter and chocolate are a holiday dessert favorite in Ohio! Because the Ohio Buckeye is the state tree of Ohio, buckeye candy, fashioned to resemble the buckeye nut, were created during the 20th century. Many Ohioans have their own recipe for these treats, however, Malley’s Chocolates (owned and operated in Cleveland, Ohio) and Harry London Chocolates (manufactured in Canton, Ohio) makes some of the best store-bought versions! One bite and you’ll be cheering O-H-I-O. P.S. If you go out for Thanksgiving Day dinner, you may want to go to one of these tasty, home-style, sit-down restaurants that are operated right here in our favorite city of Ohio: Columbus! BOB EVANS – Bob Evans Farms became a publicly held company on June 6, 1963. Reincorporated in Delaware in 1985, the company's headquarters is Columbus, Ohio. Open Thanksgiving Day. MAX & ERMA’S – A casual dining restaurant chain based in Columbus, Ohio. Open Thanksgiving Day. BRIO TUSCAN GRILLE – With headquarters located right here in Columbus, Ohio, Brio Tuscan Grille is the perfect place to go if you’re craving some Italian cuisine.